The Modern Combat series is like the Call Of Duty for mobile phones. Over five editions of the first person shooter, developer Gameloft has been providing what was by far the best FPS experience on mobile. 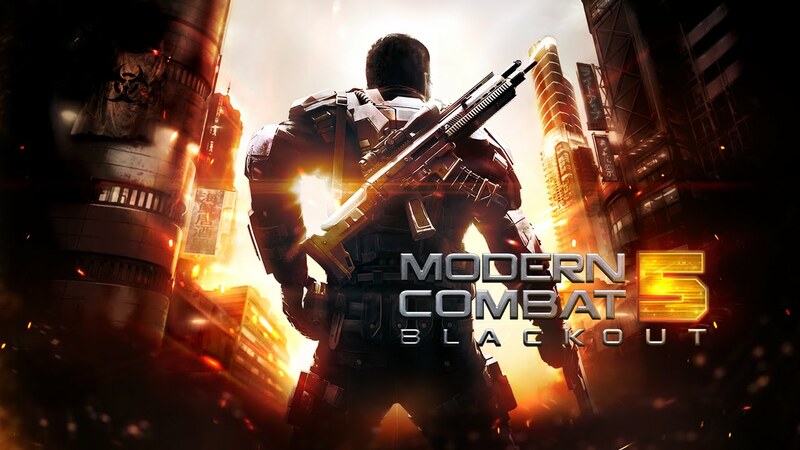 All this time the games in the series have been paid applications but now, Garelochhead has turned things around a bit and converted their latest installment – Modern Combat 5 into a free to play application. MC5 started off as a paid application but Gameloft changed that just this week. With the new format, the company has introduced an energy meter that requires time to elapse to regenerate and hence limits the number of times missions that can be played per sitting. They also introduced a new soldier class along with a new tier of weapons and a new game mode for multiplayer. Along with the additions, some game play mechanics have been changed too. One notable change is the inability to regenerate back to health after it gets critically low and you hit the deck. Previously you would be able to use your pistol and shoot until your health regenerates. If you want to continue, you have to spend some in game currency (which costs real money) or restart the level. While Modern Combat 5 still remains to be an excellent game, the new update has/made things unfair for early adopters who paid a good $5 for it. These old players are given an honorary “veteran” status and have the energy bar removed. Aside from that they get a 25% boost in xp and weapons xp along with “power user” for a period of 7 days. While many will like these bonuses, most “veterans” of the game usually are at a point where they have maxed out all weapons and classes and therefore do not need that xp bonus. Additionally, these players did not need to pay for these, gaining xp and unlocking new weapons is a fairly simple and easy task especially when playing multiplayer. While the above may be perceived by people in different ways, a few points remain consistent . Firstly after the update, the servers are ALWAYS overloaded. This is obviously due to the vast inflow of new players since the game is free to play now. The result of this is having to wait between 5-10 minutes to get into a new multi-player match, something that has never been a problem in the past. Another negative is the occurrence of continuous and frequent lag in both the campaign and multi-player mode which is persistent even on my Galaxy Note 4. The problem often gets bad enough to make the game unplayable. While the lag in the campaign can surely be fixed with a software update, the most annoying part emerges now. As the game is unplayable on a lot of occasions, the 7 day perks “rewarded” to the “veterans” are getting completely wasted. The naive old me wants to think that this was just an error on the developer’s part yet another half wants me to believe this was simply a money making move by Gameloft executed to perfection. Whatever the case, if you paid for the app you can not be blamed for being angry. If you are a new player who joined via the free to play model, the recurring lag in all game modes will certainly be a major piss off. Modern Combat 5 was the best FPS game on the market but the change to free to play in order to boost revenues has certainly had an impact on the game’s quality. Furthermore, the whole “veteran” scenario is just plain unfair. If you haven’t tried the game before, you can now do so for free but be warned that the game is in need of a serious performance update.